One of the women at work was looking through my box of cards for sale the other day and wondered if I could make a Happy Birthday card in Spanish. Of course, I exclaimed! Stampin’ Up has a fabulous line of Spanish language stamps! Her mom’s name is Rosa, so she wanted something with roses and also somewhat of a shabby chic look to it. She also asked for a little bit bigger card then I normally make. 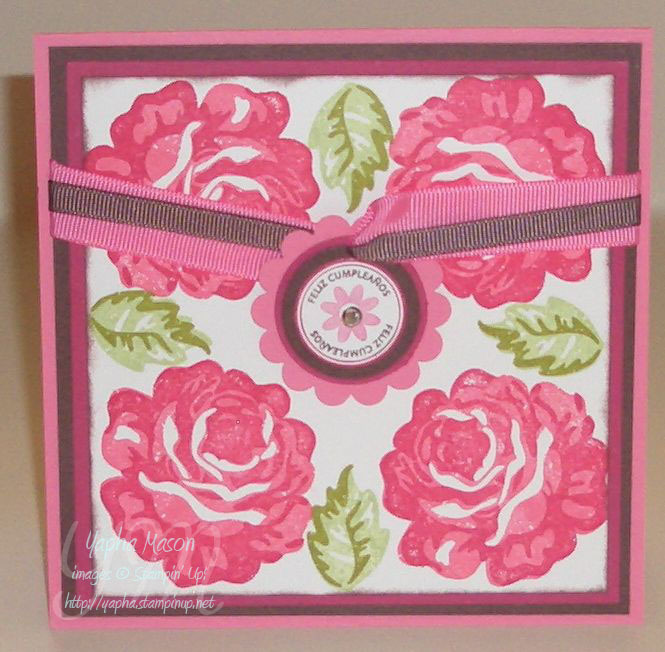 So I grabbed my Rose is a Rose stamp set, and put together a 5 1/2″ x 5 1/2″ square card. My friend was so pleased with the way that it came out, she even bought her mother flowers to match! 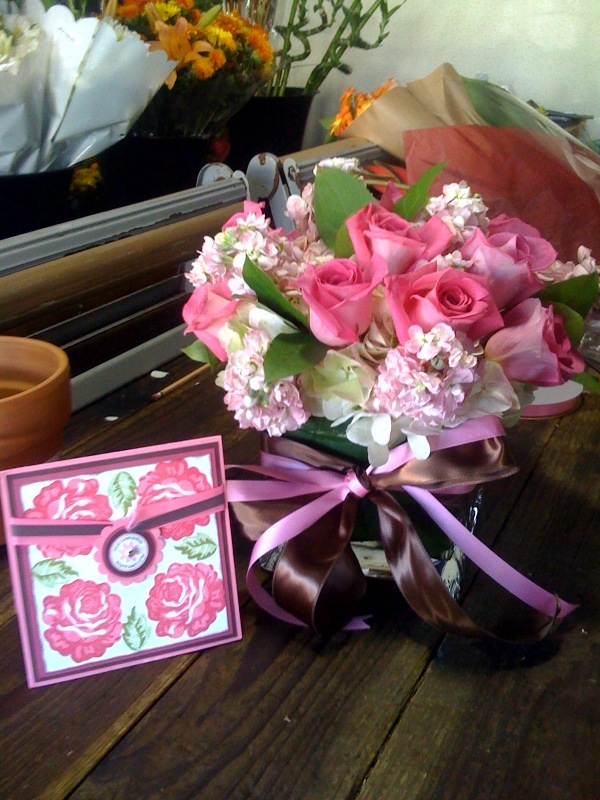 She sent me a picture of the card and flowers! I’m so happy that she liked the card so much.